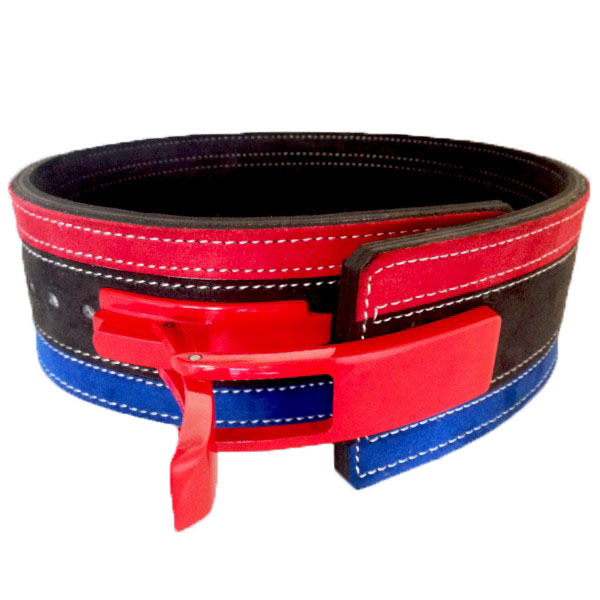 Tri Color Lever Belt Made of Suede Leather. Available in other kinds of Leather. Red Lever Buckle that will not break like other Weight lifting buckles. Custom Holes on belt are offered. Weight lifting Suede Leather Belt Get Latest Price.